Located just outside the Todler Area and large playspace for childrens 5 and under. 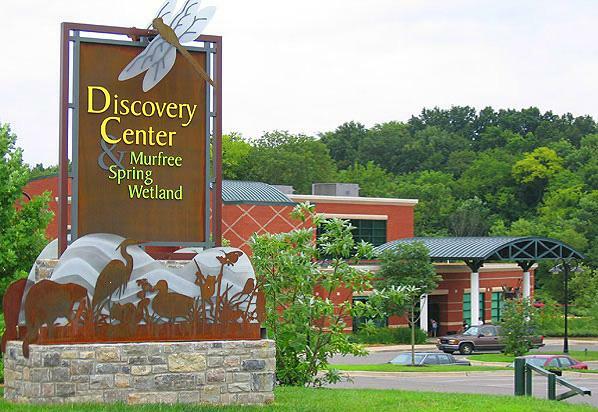 Discovery Center at Murfree Spring, Tennessee has a nursing mothers room for moms where moms can go to breastfeed or breastpump milk for their babies. This nursing room is located just outside the Todler Area and large playspace for childrens 5 and under. "one of the coolest places I’ve found to have a mostly comfortable nursing area is the local children’s science museum (Discovery Center at Murfree Spring). Salem and I were a tad sweaty in the little room, and it would’ve been nice to be able to see my older daughter and niece who were playing outside of the room, but it was in the enclosed toddler area (they are 6 and 9, so they’re fine), so there was less risk of losing track of them." Note: DCMS is stroller/wheelchair friendly, and moms are welcomed to nurse throughout the museum, allowed by the Tennessee breastfeeding law.